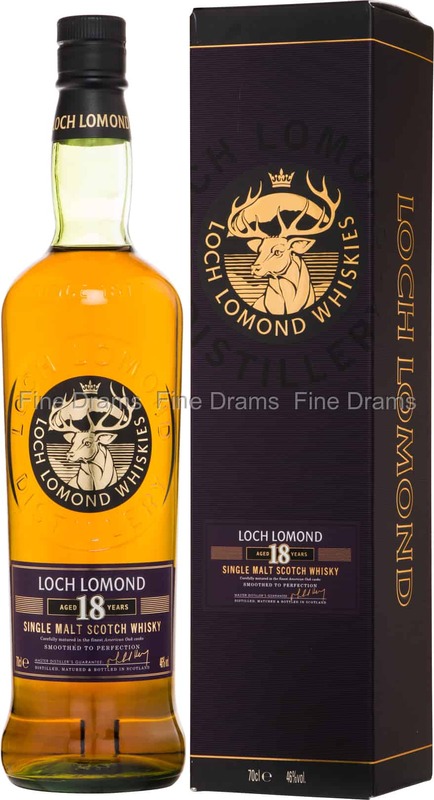 Highland producers Loch Lomond are known for being one of the most versatile distilleries in Scotland. Not only do they produce single malt whiskies, but single grain and peated whiskies too. In the past they have made “single blend” spirits, with all the constituent ingredients produced by the one distillery, until the regulators put a stop to this. A downside of this incredible flexibility is that the distillery’s high quality single malt releases are perhaps a little overlooked. Bottlings such as this should help to put a stop to that perception. A delightful 18 year old, which was given a redesign in 2015, this dram serves up a wealth of tasty Highland flavours. Drinkers should expect notes of tobacco smoke, cedarwood, old oak, prunes, red berries, apples, malt, almonds, walnuts, bread, honey and a touch of wood smoke. Bottled at 46% ABV and without colouration, this a delightful dram well worth exploration.